We are one of the leading manufacturer and supplier of Industrial Machines that includes geared lathe machine, light duty lathe machine, cnc machines, slotting machine, medium duty lathe machine, extra heavy duty lathe machine, heavy duty lathe machine etc. We bring forth robust Workshop Machine that finds major application in multiple industries because of its accurate dimensions and consistent performance. Workshop machines are compact in size and highly acclaimed for their longer life and superior functionality. 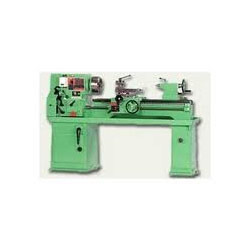 Made available in varied dimensional specifications, these machines are offered at market leading rates.